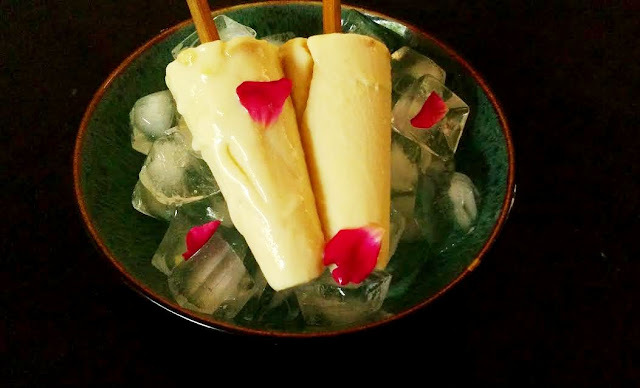 Arrival of summers means cool-cool kulfi, ice-cream, cold drinks, shikanji etc. Because of the hot winds, the body starts dehydrating, thus consumption of more water and cold things becomes necessary to keep it hydrated. 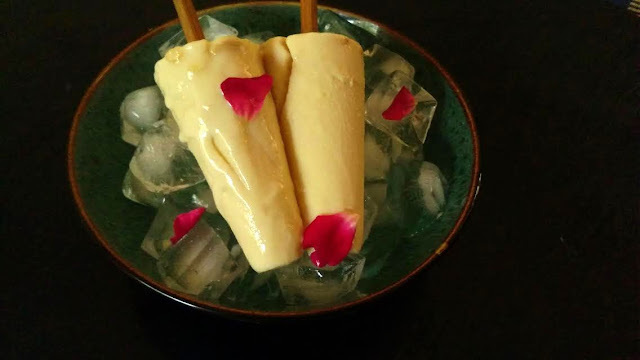 Kulfi is one of the loved desserts in summer, and it is made by adding dry fruits or mawa etc. to the milk, but here I made the kulfi from Dhuli Moong Dal which turned out to be delicious. It does not require too many ingredients and yet was the best in taste. Wash and soak the dal for 10 minutes and then drain the water, dry roast the melon seeds then keep aside. Heat the ghee in a pan then fry the dal till it becomes light golden, so the dal doesn't smell anymore. Turn off the gas. Now make a smooth paste with melon seeds, cardamom and dal by adding little water. Put the milk in a heavy bottom pan, bring it to a boil then add the paste, cashew nut and yellow food color, turn the heat on sim, Stir continuously and cook until the mixture gets thick, add milk made and mix well. Turn of the gas. strain the mixture. Cool and pour into the mold, refrigerate it for 4 to 6 hours. Note ;- You can also add some chopped pistachio.